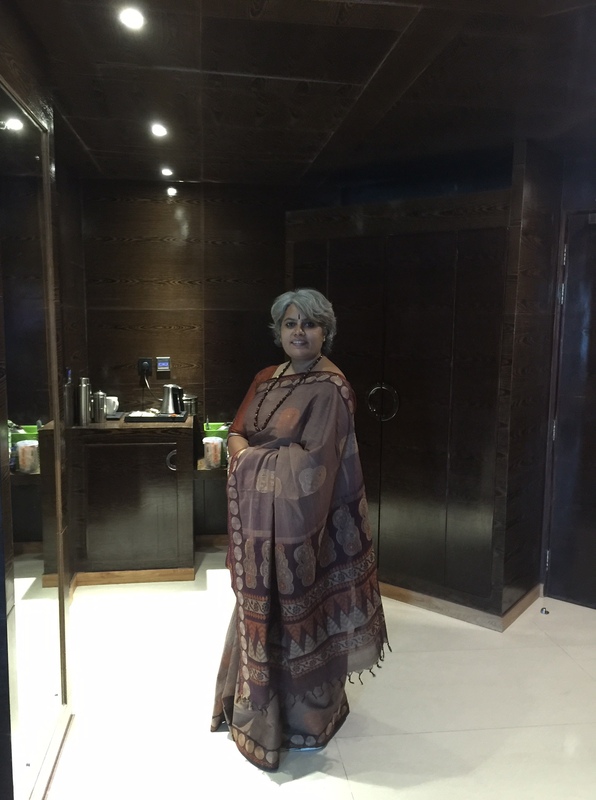 I didn’t know what a Negamam sari was till I became a part of the W3 group. I had bought three Negamam saris at Kumaran Stores many years back when I thought that all cottons were handloom :):). When I figured out the difference between handloom and power loom products, I wanted to get a handloom Negamam. When this sari got posted online by Co-optex, I grabbed it immediately. This is the backside of the Pallu of two saris. 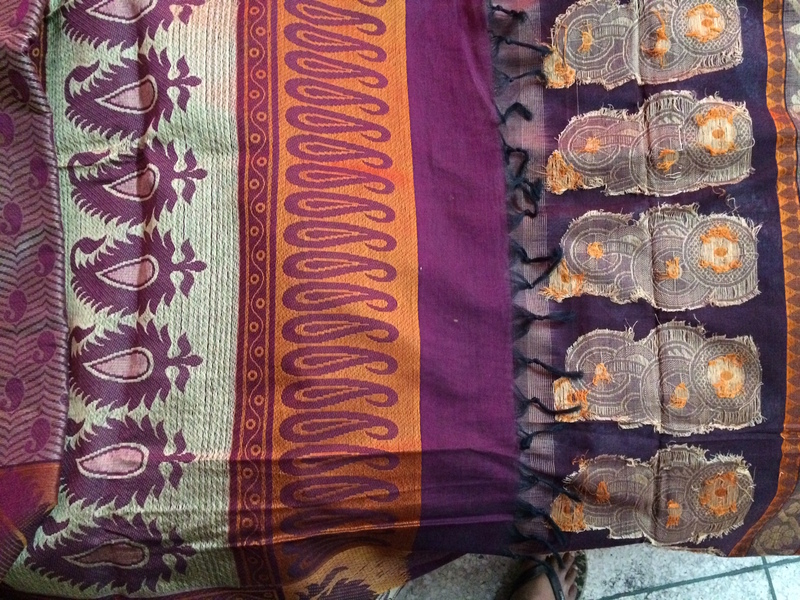 The one on the left is a power loom made sari and the one on the right is a hand woven sari. The power loom product doesn’t have a break in the threads, while the hand woven one has breaks for each motif. Effort and sheer artistry. I wore this sari at Allepey. These pictures are taken inside the hotel room :). The neckpiece is from Desh Maheshwari, beautiful maroon coloured stones… maybe Carnelian, but am not sure. And the blouse is a Khunn. Like I said in the previous post, wearing handloom is like wearing art everyday !! The difference in comfort, between this handloom Negamam and the power loom Negamam is huge. I have a feeling that some polyester or art silk yarn was mixed in the power loom sari while this is pure cotton. The handloom Negamam is also very soft and fine unlike the heavier power loom product. 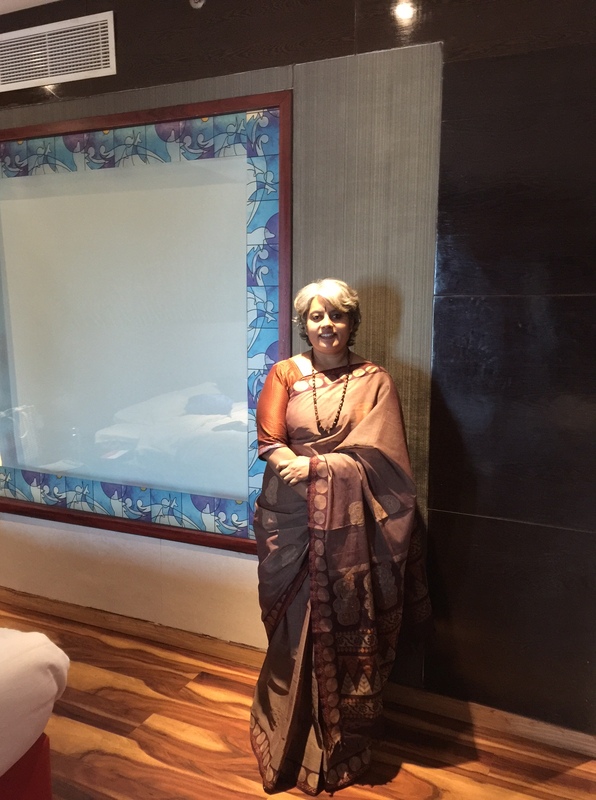 Enjoyed wearing this sari and will wear it for many many years.